At a time when America is searching to define its values and trying to uncover the inspiration of what it means to be uniquely ‘American’, we need a manifesto! And it would make sense that it should be carved out of meat. I have spent almost three years attuned to America’s spirit, humor and verve. I conceptualized raw images capturing the same, shot them for posterity and incorporated them into a book for publishing. 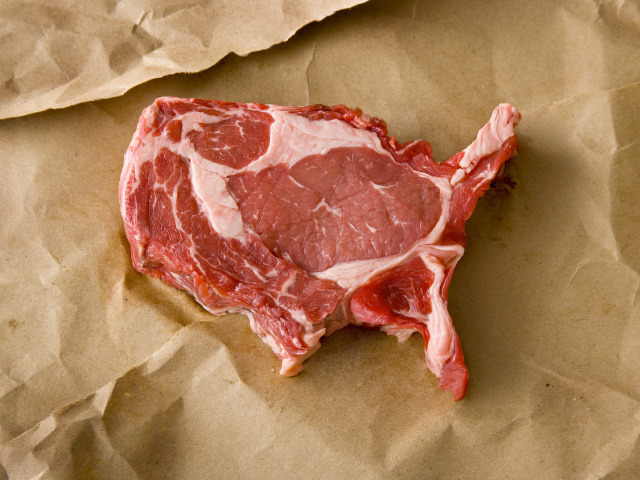 Meat America, the book, is ready for prime time. A kickstarter project with 8 days to go, and not quite 1/2 of its $11500 goal reached. 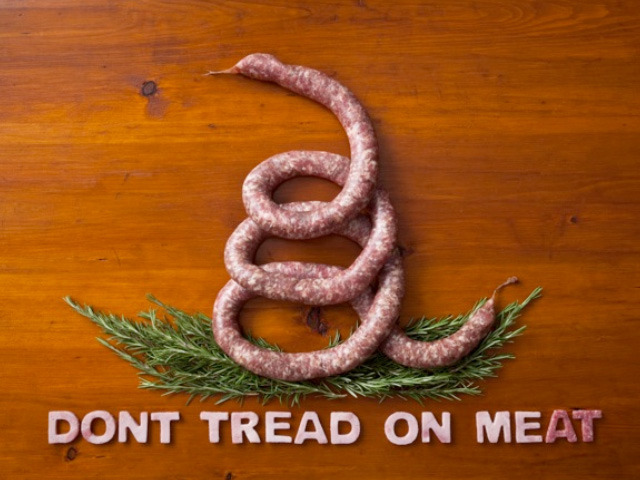 The Gadsden meat flag I used as the post picture is cute, but he needs to do a Meat-16 high capacity assault rifle with high capacity meat magazines… preferably several meat links joined together mattv2099 style. In today’s digital world, I’m not much for books… but I can see how people would enjoy this as a coffee table book especially since it’s only $30 if you get in on the kickstarter ($45 otherwise). I just hope he ate this meat after he photographed it. and not a single comment was given that day.